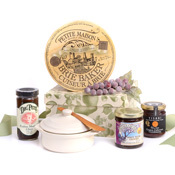 Exquisitely packaged in a replica cheese wheel box reminiscent of the French countryside, Petite Maison continues to set the standard by which all other Brie Bakers are measured. 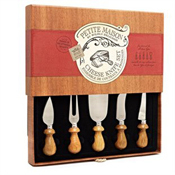 Each brie baker comes with a bamboo spreader. 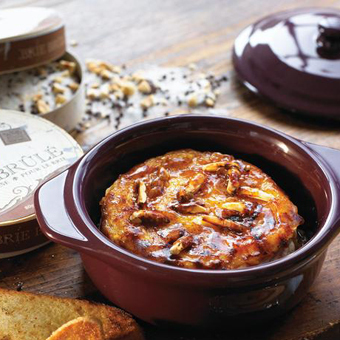 For an exceptionally easy-to-prepare appetizer, simply place a wheel of brie inside, warm it up in the oven and serve. 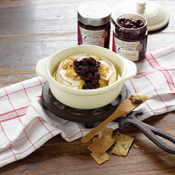 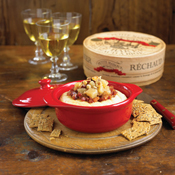 Pair with one of our recommended brie accompaniments for a memorable hostess gift!